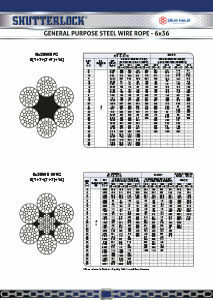 Shutterlock offers a wide range of wire ropes that are manufactured with durable materials. This makes it the ideal product for all your industrial needs. Steel wire ropes are ideal for any outdoor environment. They consist of strong properties that enable its strength and length to remain constant when wet or dry.